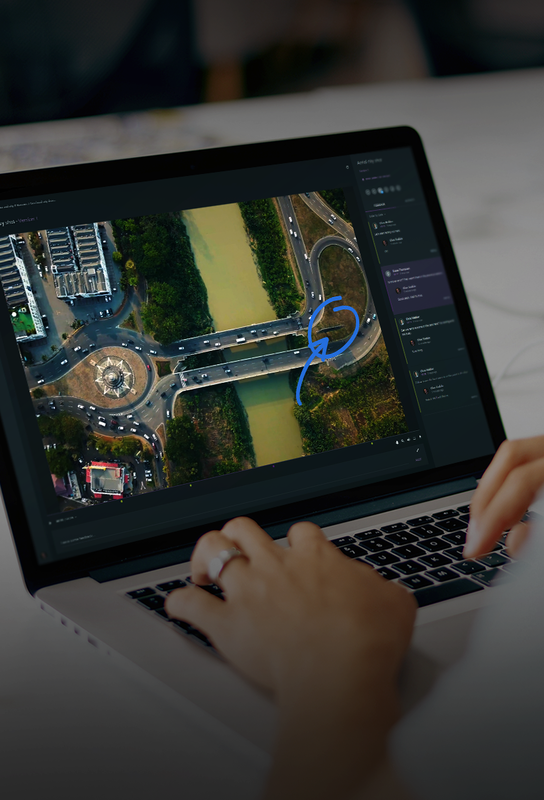 ftrack Review, our collaborative media review tool for content creators, is out now! 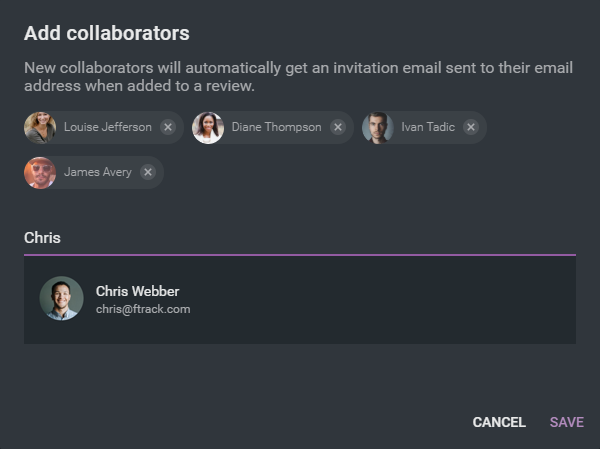 If you’re ready to say goodbye to endless email threads and welcome centralised, browser communication with clear-cut feedback, then you should absolutely try out a free trial of ftrack Review! 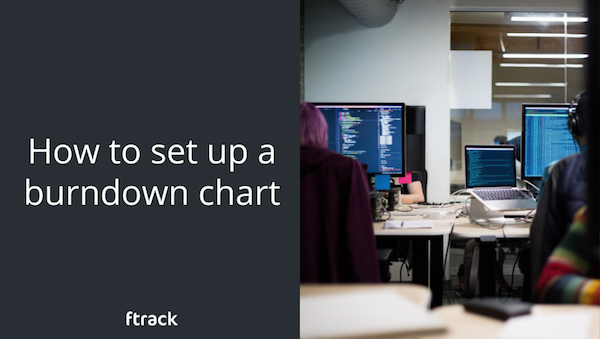 Be sure to read the below tips, tricks and handy tidbits of advice too – you’ll be all set to get the most out of what ftrack Review has to offer. ftrack Review is not just video! ftrack Review is media agnostic. You can collaborate on a vast range of formats both video and image, including multi-page PDF. 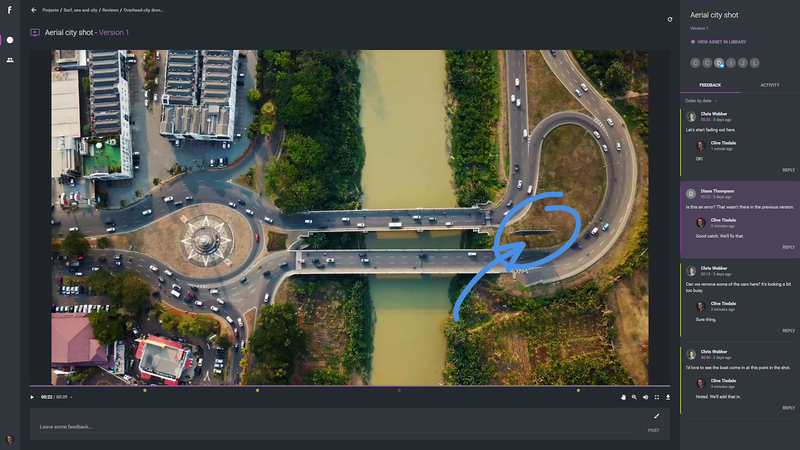 If you are working with video or large files, keep in mind the connection speed of your client as they need to load that asset to view it! Reducing the resolution or compressing the media before uploading can have a big impact on loading speed. We will convert media for easy playback in a web browser, but for maximum performance and quicker loading times we recommend doing some compression before uploading compressed files such as mp4 in 1080p at 4mbps. 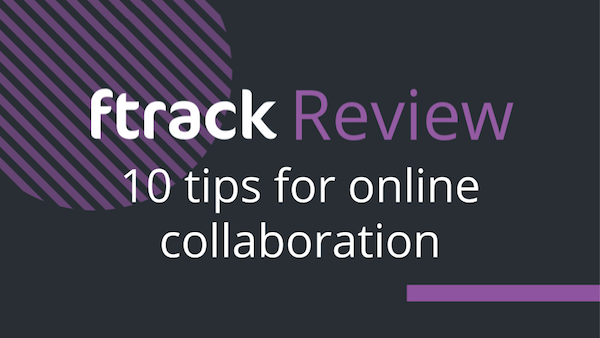 Clients and other external collaborators don’t need an ftrack Review account to join in. They just need to be invited by email and click a link to add their feedback to a review. You can invite as many as you like, so don’t be shy. 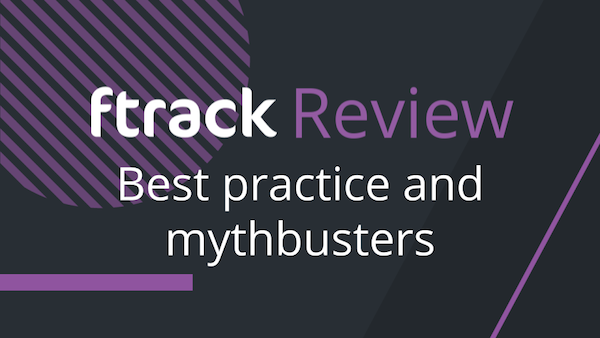 ftrack Review is designed to work in as many browsers as possible. That means it also works on your phone or tablet without needing to download an app. Review session in a taxi? Easy. 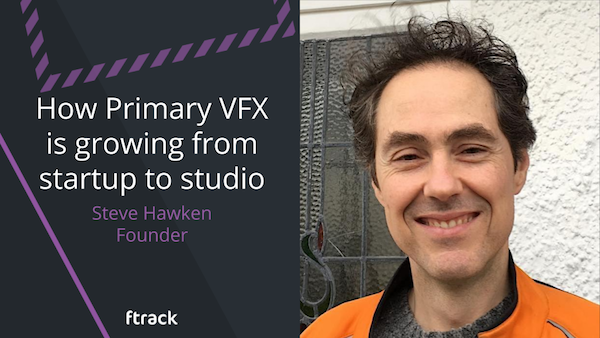 You can swap between frame count, timecode or your standard MM:SS time in ftrack Review using your account preferences. 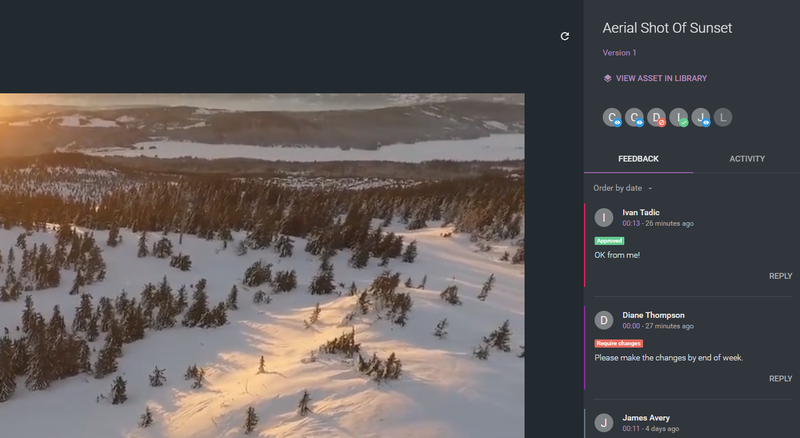 Whenever you write a comment or make an annotation, they will stamped to the specific frame or time at which you added the feedback. If you don’t want team members to access session content after a review is completed, then you can set an expiry date on the session to prevent access once the date has passed. The content won’t be deleted, but it will only be available to the admin and can be reopened at any time. You can also disable/enable user accounts, so if you want a “private” session, it’s easy to set one up. Brand ftrack Review as your studio! 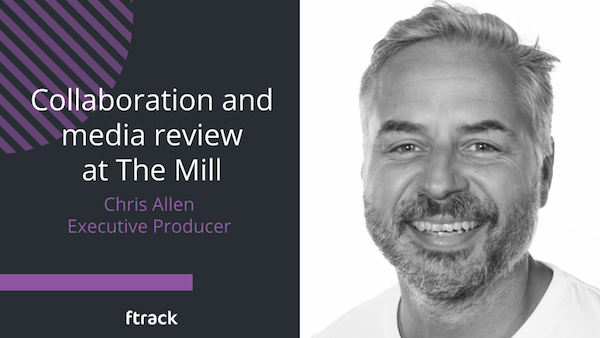 You can white label your ftrack Review account, so instead of our logo showing to your clients, they’ll see your studio’s! It adds a nice professional touch. If you’d like your collaborators to download the media currently under review, head to the details tab and simple toggle “on” or “off” the “Allow download of original media” button. Any collaborator invited to the review session will be able to download the media to their desktop or mobile device. 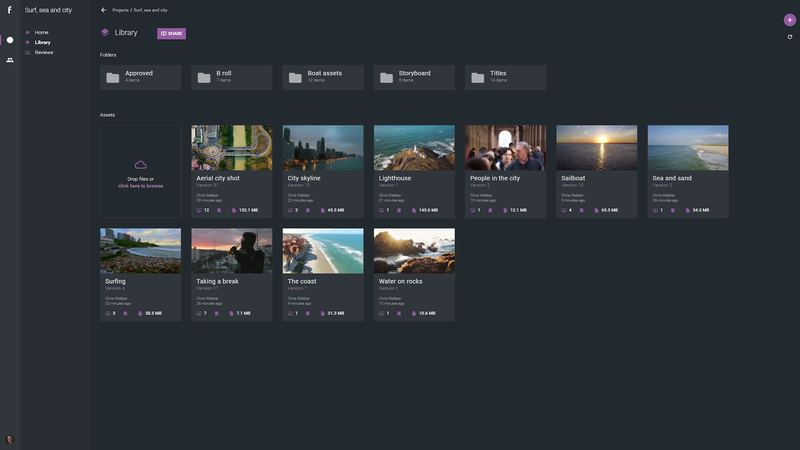 Your project library keeps all of your media neatly organised and easily accessible. All you need do is drag and drop content and it will be stored (in 250GB of space) and be ready for review. Don’t worry about reviewing the wrong iteration of a project – uploading media with the same file name as one previously used will version up the asset. 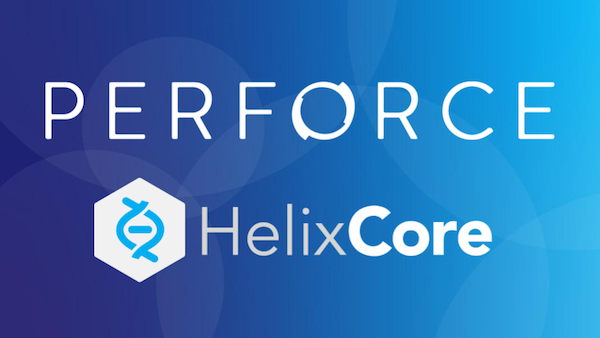 Newer versions will be stacked on top and the version number will automatically increase. You can “unversion” an asset too, if you so desire. 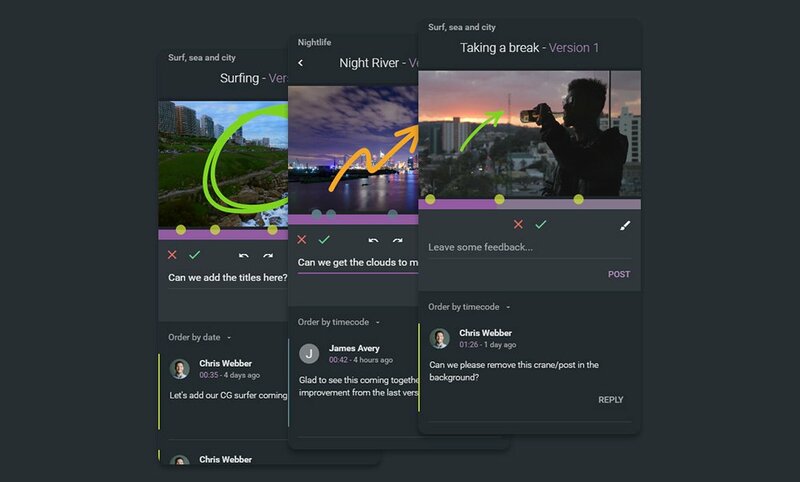 One a review session is completed, the session leader will receive a handy PDF that summarises all feedback, annotations and comments that were made on media, attributed to the frame or timecode on which they were made and next to a thumbnail image for reference. Share with all stakeholders to make sure everyone knows what steps need to be taken next. 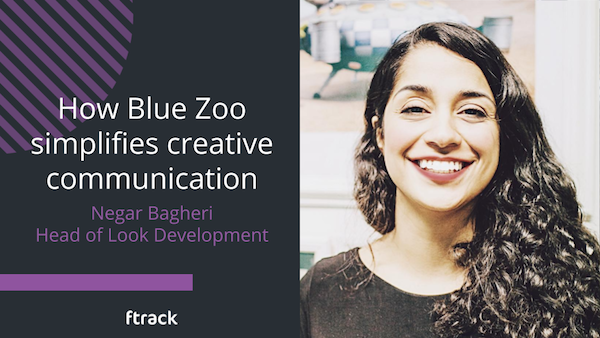 You don’t need access to ftrack Studio – ftrack’s full production tracking and project management platform – to use ftrack Review. 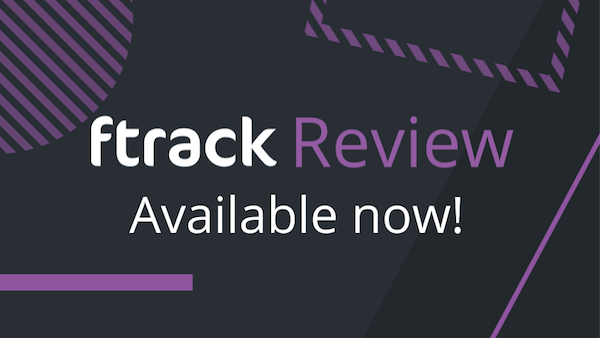 ftrack Review can be purchased and used as a standalone product for media review and approval.